Your Handy Ads Program Box. YouTube Practices targeted marketing strategy from age to gender, location to interests and many more with flexible cost. YouTube TrueView is built on the promise that you’ll only pay when someone chooses to watch your video ads. Happy Click is one of the Google Adwords Certified Partner. 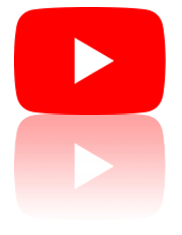 Unlike other sites, YouTube is all about video. So you know people are really watching. And you get to choose just who sees your video ad. Reach people when they’re on the YouTube homepage or searching for specific topics. Or show your video ad before a video your customers are watching – like a TV commercial. TrueView in-stream ads get the video ads your business creates in front of the right people, right before they watch the main video. A skippable, online video ad that appears before the main video. TrueView discovery ads appear on the YouTube homepage or when people are searching on YouTube. Use this format when you’re looking to reinforce your message. Use this format to show up on YouTube search results, on the YouTube homepage and alongside related videos. Bumpers are only 6 seconds. They’re a good way to capture people’s attention on smartphones. Use them alone or alongside a TrueView campaign. Use this format when you’d like to reach people with a short, memorable message.